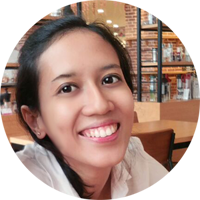 This is my personal blog which I write mostly in Bahasa Indonesia because I'm too lazy to write it in English. I graduated from ITB with major in interior design. I worked as stylist and journalist in home design magazine and worked as interior designer. Currently I am enjoying my life as a stay at home mom and part-time interior designer. I live in Jakarta South Tangerang with my beloved husband and sons. For personal reason I don't write their real name in this blog. For your information, Bi is my husband, Ru is my first son, and Haha is my second son. 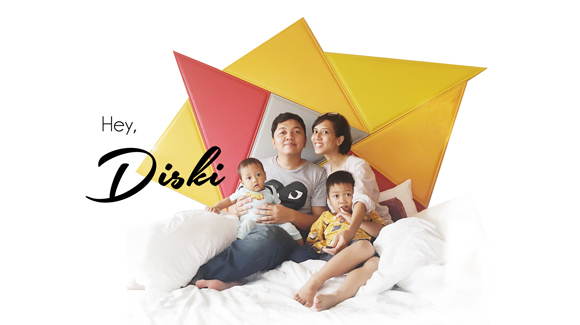 Hey Diski blog covers stories with a focus on my favorite things: travel, interior design, motherhood, books and interesting daily life. I started this blog when I was in college to share some interesting moment of my life. Then, I added my travel stories because I found others' travel blog help me a lot when I plan to go on vacation. As life goes on, I added stories about becoming a mom to hopefully help other moms. Basically, this blog is a media for me to write an article which I enjoy to do and hopefully enjoyable to read as well.